Closeouts. 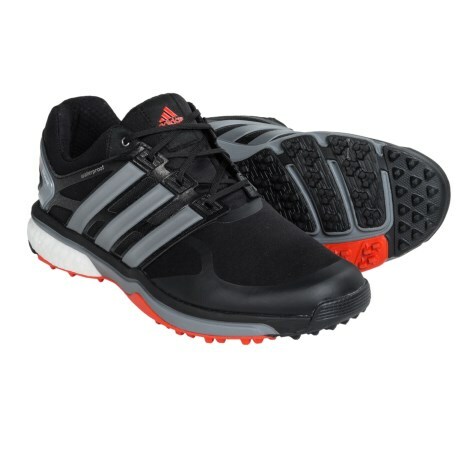 Adidas Golf Adipower Sport Boost shoes feature revolutionary Boost cushioning technology that delivers outstanding energy return. The waterproof upper keeps the elements out, and the flexible outsole balances comfort and traction.